Today has seen the launch of the Tattenhall Green Dog Walker’s Scheme on Tattenhall Online, which is asking dog owners to sign a pledge to pick up after their dog. People who sign up to the scheme will be given a luminous green tag for their dog to wear to show they are part of the scheme. You can sign up to the scheme between 9.30-11.30am in Alison’s cafe on Wednesday 20th March or Saturday 23rd March or at the Parish Council Surgeries held every Friday 9.30-11 at the Country Market, or at the Post Office or Tattenhall news. 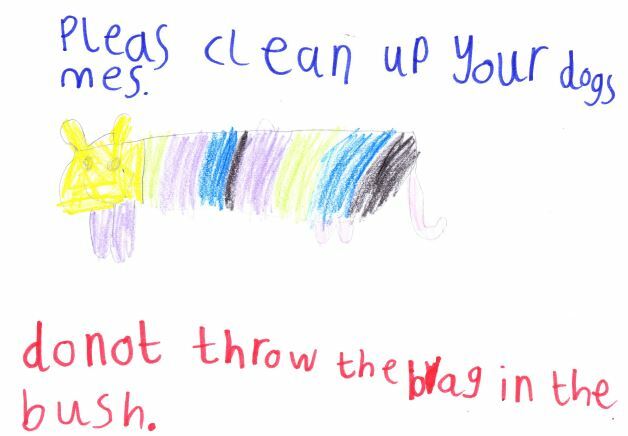 As part of the scheme pupils from The Park Primary School have produced posters which you will see around the village. To find out more and to download a membership form click here.